I have been involved with irises since seventh grade. 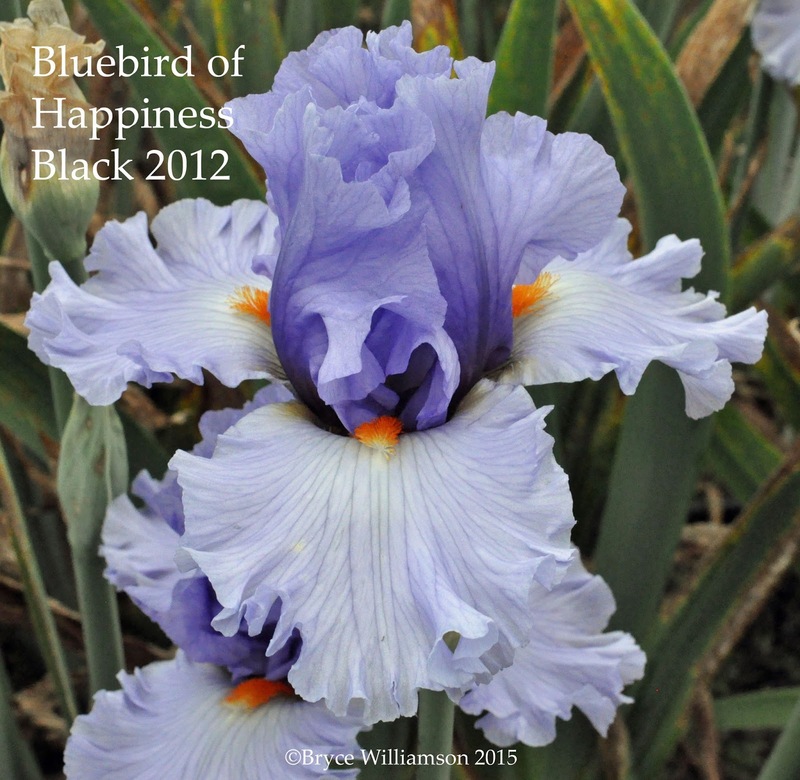 That was back in 1992 when I planted eight tall bearded irises from a collection offered from Burpee’s Seed catalog. 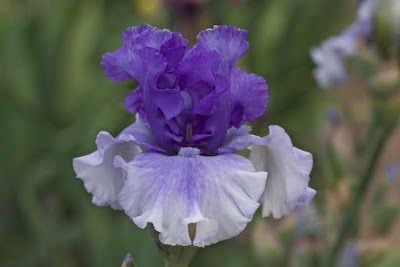 Seven of those irises I would later find out were introduced by Schreiner’s. These were Invitation (1982), Grand Waltz (1970), Stepping Out (1964), Gay Parasol (1974), Deep Fire (1979), Pledge Allegiance (1984) and Tut’s Gold (1979). 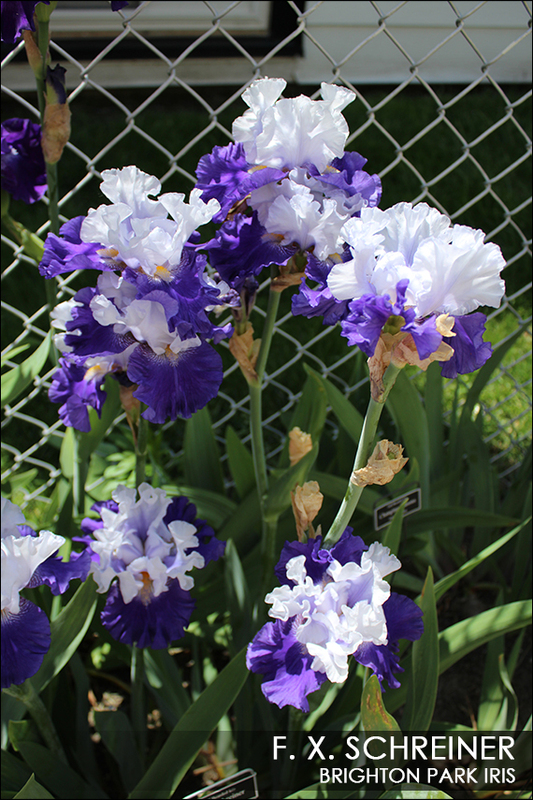 I had expanded the collection vastly during my college years in my parent’s Chicago garden; some performed well, others not so much. 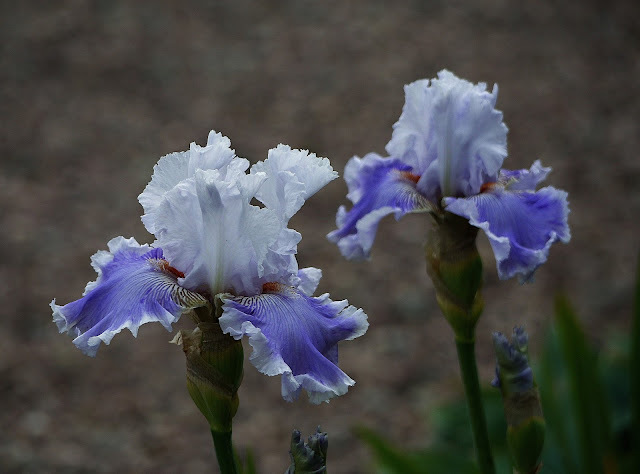 However, those seven irises were still among the hardiest in the garden and would serve as the catalyst for creating my Schreiner’s iris collection. With the exception of Deep Fire, I still grow all of these irises today. 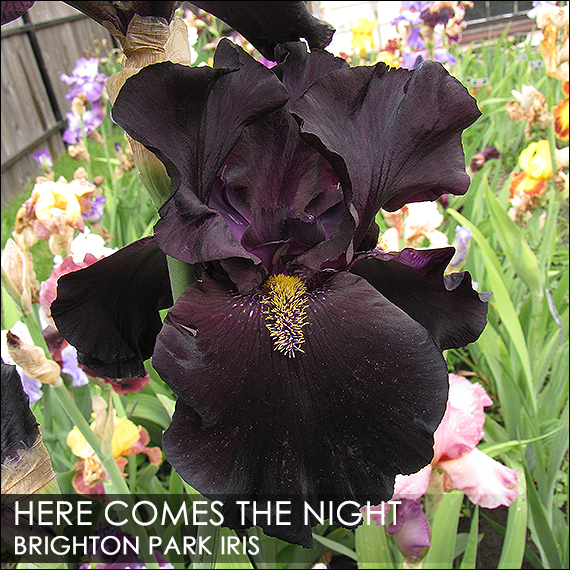 My website, Brighton Park Iris, was born from this obsession. Since moving to my own property, I had the chance to really expand my collection. 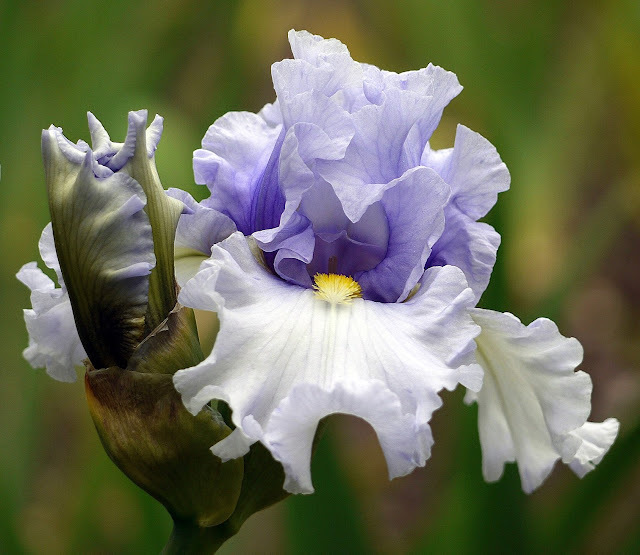 I have tried introductions from nearly every major iris hybridizer and grower. As an iris gardener, I’m presented with many problems which are not ideal for bearded iris: humid and sometimes rainy summers, cold winters (lately without snow cover) and of course, the dreaded iris borer. 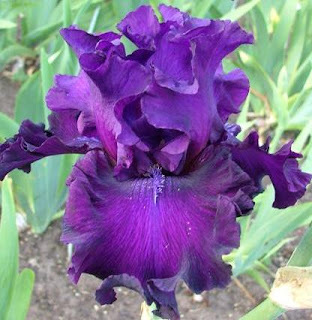 This has been the triple-whammy of trying to grow irises for me in Chicago...only the toughest irises survive here. Irises that have originated in the West Coast area (California, Oregon, Washington) have had the hardest time transitioning in the Windy City and many don't survive that first winter. 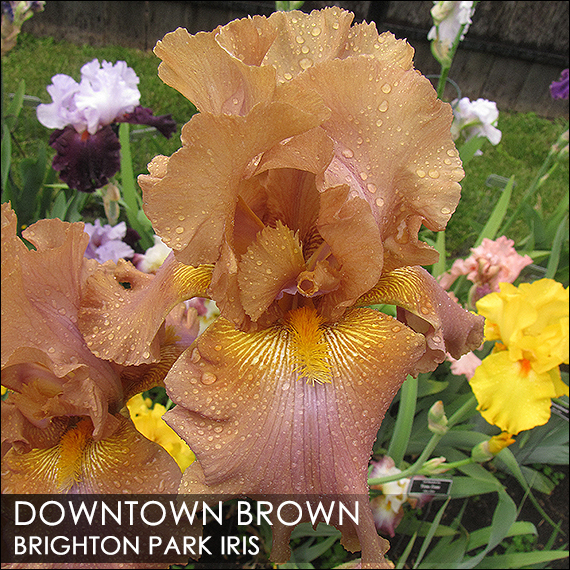 However, there have been a few irises that snuff at whatever Chicago throws at them. So here I present some of the hardiest West Coast irises that thrive in Chicago and that have been introduced within the last 20 years. From Paul Black, one of my top selections for standard dwarf bearded iris is Mini Mouse (2012). 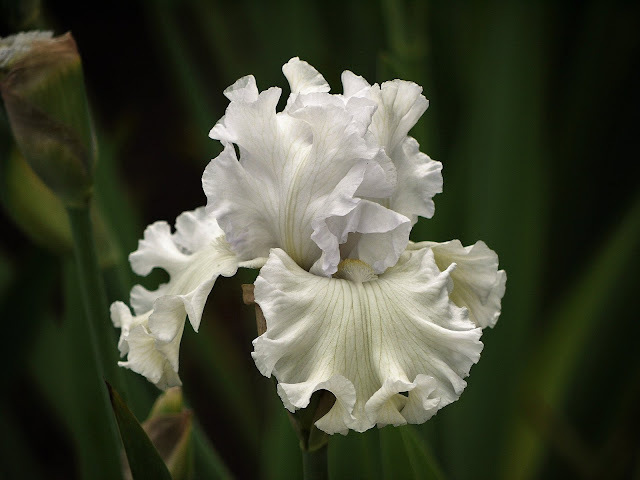 It is a vigorous and fast-growing iris with wonderful and faint plum dotting over cream. Don't forget to check out those solid purple styles! 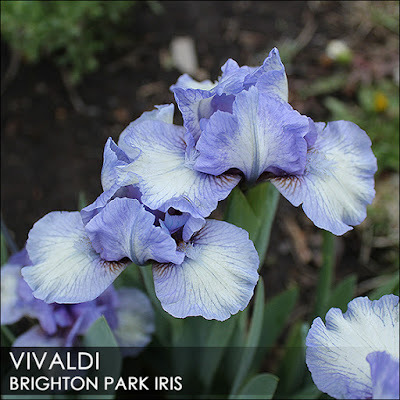 Lowell Baumunk's Vivaldi (2007) is another standard dwarf bearded iris that has also performed well here in Chicago. 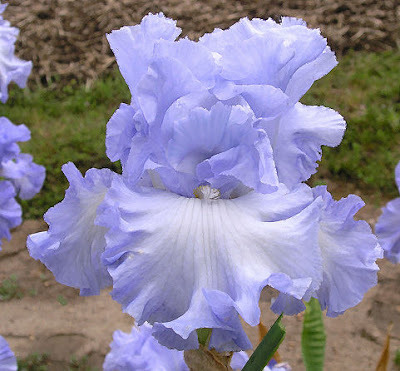 This blue and white plicata is a Baroque classic! Delicate, yet hardy! 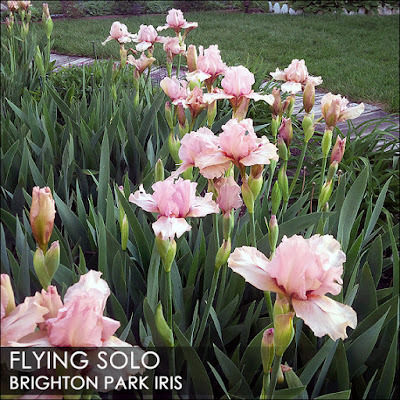 If you’re looking for an intermediate bearded iris to continue the season along, look no further than Rick Tasco’s Flying Solo (2001). This creamy pink self with interesting pink horns multiplies quickly and will take over your garden if you leave it alone. From Joe Ghio, his Spiral Galaxy (2014) is performing very well here. It’s a ruffled yellow bitone with his signature “Ghio-form” and unique maroon veining on the falls. 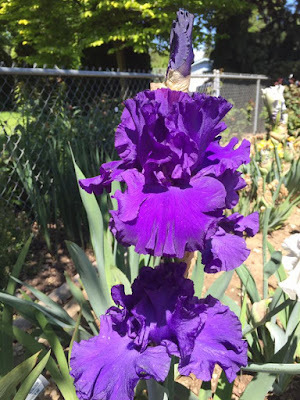 It blooms for a long period of time with multiple blooms per stalk. 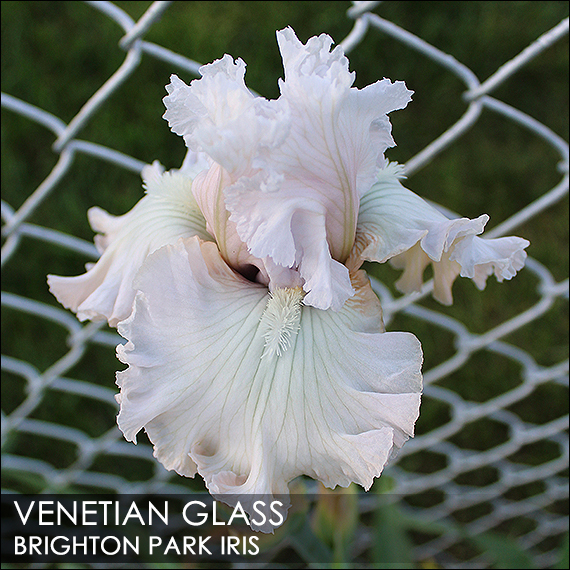 An iris that I believe is truly deserving of the Dykes Medal is Keith Keppel’s Venetian Glass (2003). Creamy white with a slight pink cast and crisp, laced edging. 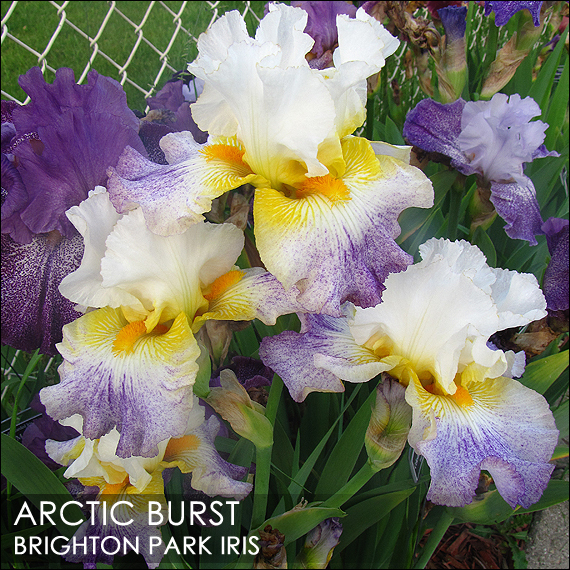 Has bloomed consistently every year and never fails to impress. Of the few introductions that I have tried growing of Bob Van Liere, my favorite and his best growing of those is Sisters of Loretto (2006). It’s a creamy, rosy-strawberry iris with a flush of cream on the center of the flower. Roger Duncan’s Arctic Burst (2008) never fails to impress. It’s unique color pattern is unmistakable. I love the yellow infusion both on the lower part of the standards and hafts of the falls. 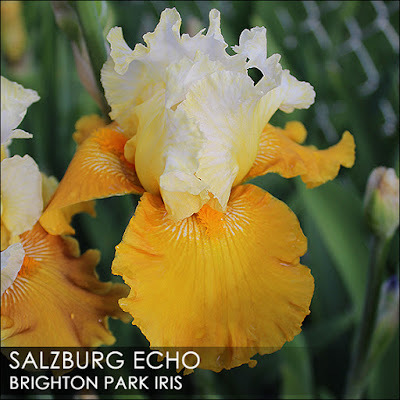 Irises introduced by the Schreiner’s have done consistently well here in Chicago. 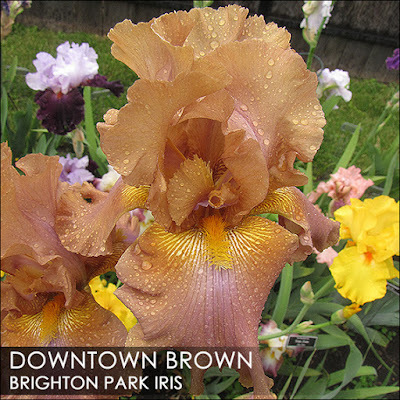 If you’re looking for TALL bearded iris, then you must try Schreiner’s Downtown Brown (2013) for its creamy coffee coloration. Next, Salzburg Echo (2009) will light up that dark corner of your yard with its brilliant cream standards and rich yellow falls. 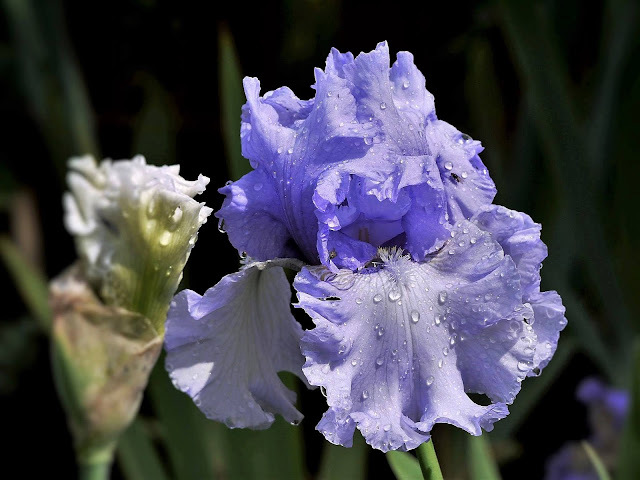 A dependable bloomer and one that increases rapidly. Miles Ahead (2010) is aptly named. Its miles ahead of the competition in terms of blooming reliability and vigor to withstand what Chicago weather throws at it. Most dark selfs that I have tried in Chicago perform well, but if you want the best growing and most saturated jet black of them all, then Here Comes the Night (2009) is for you. 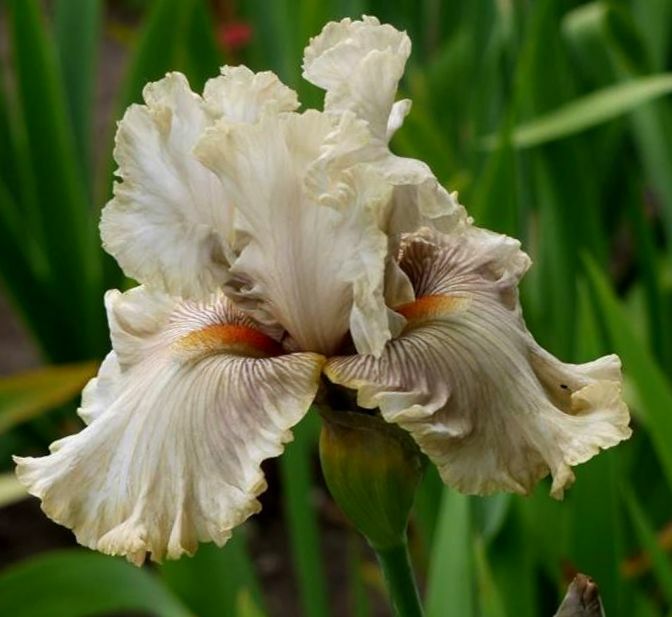 Another iris that has done well from the Schreiner family is Glad (2011). The lavender-blue self would be easily overlooked if it weren't for those blazing orange beards on the falls! 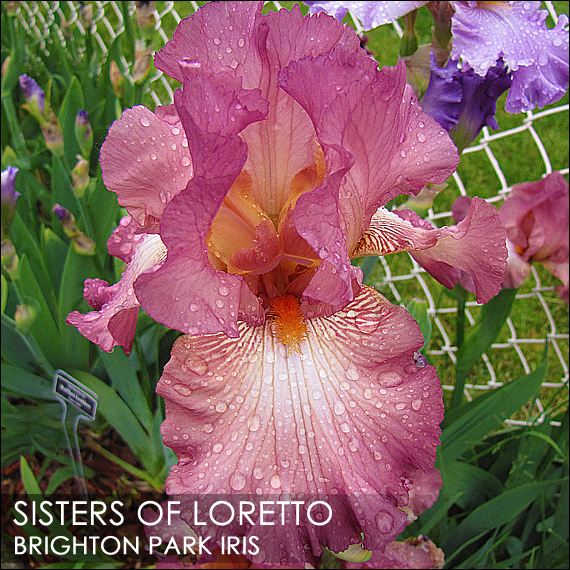 Finally, the most recent introduction that so far is performing very admirably, and namesake of the founding member of the Schreiner’s firm, F. X. Schreiner (2015) is making a big splash in my Chicago garden. If you have difficulty growing some of the new irises on the market today or are unsure of what to try of the more recent irises to hit the market, give these beauties a try! In the last twenty-five years, there has been an amazing proliferation of new patterns and color combinations. 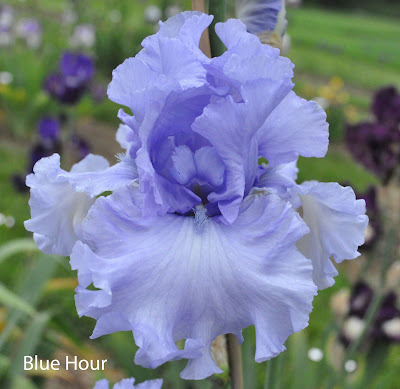 Lost in this transition, however, is one of the basic reasons to grow irises—they have wonderful blues and violets colors found in few other flowers. Other flower groups should be green with envy if they had these colors. With tall stalks that stand up well inclement weather, Absolute Treasure looks good in newly set plants and in second and third year clumps. I saw this at the American Iris Society Portland National and was impressed, but did not add it to the yard then since we were in the middle of the horrible drought. With water restrictions lifted, it is nice to have plants thriving instead of struggling to survive. With its deep ruffling, it is a standout in the garden. 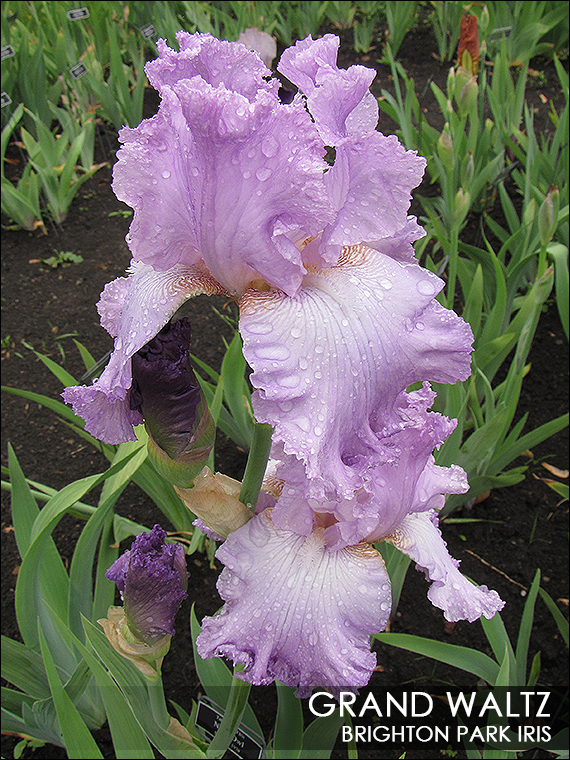 This easy to grow variety won the Dykes and deserved to win it. 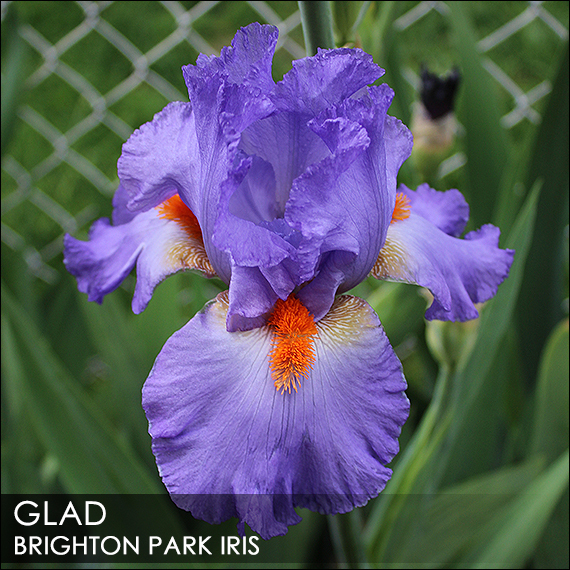 Sadly this wonderful iris, a standout in the yard for both growth, healthy plants, and good bloom, has been ignored by the public. The cerise-violet coloring commands attention. In a different direction as the blue-violets get deeper for color, then the irises are in the territory of blue-black. 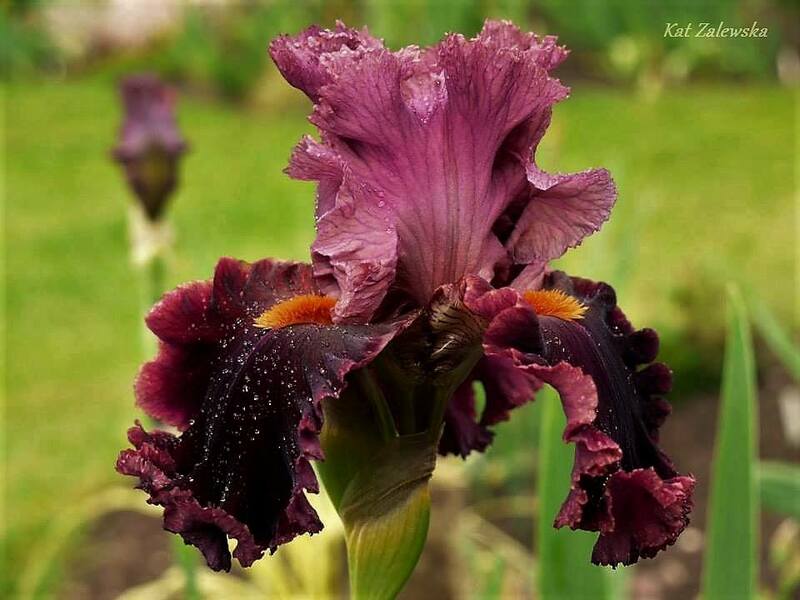 One of the few newer irises that I am adding to the collection this year is the stunningly dark Coal Seams (Schreiner’s). With family members loving these colors and demanding to see them in the spring, I can keep peace within the family with this purchase. If these irises don't provide enough variety, there are the variations on the theme of blue--reverses and neglectas. My own Chance of Showers is an example of a reverse with darker standards and lighter falls. In the group of neglectas, I am especially fond of Global Crossings (Van Liere). In the same color range as Great Gatsby and World Premier, this is an updated version of them. I like the velvet finish on the falls. So, when gardening with irises, enjoy the amazing new color combinations and patterns, but don’t forget to sing the blues and you will not regret those choices and you will be the envy of your neighbors. 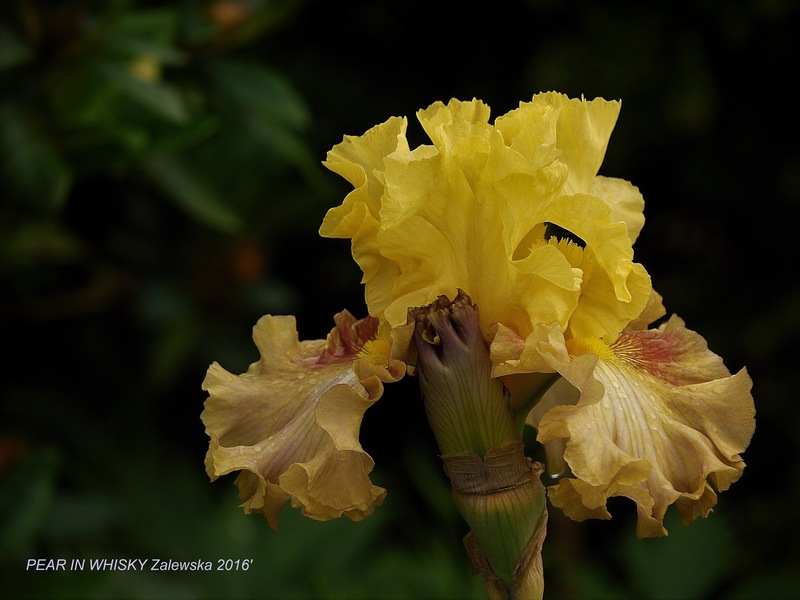 If you're not familiar with award-winning iris hybridizer Katarzyna "Kat" Zalewska, it is my pleasure to introduce her to you. 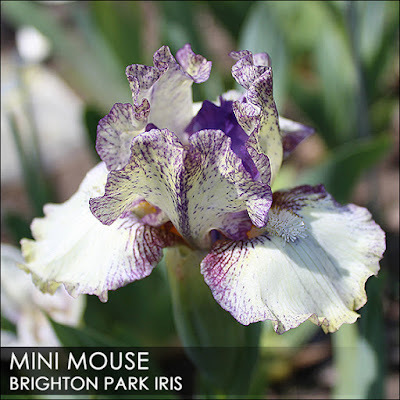 When I first saw the magic of her beautiful iris garden, I wanted to share her video with our AIS blog readers. She has graciously agreed. 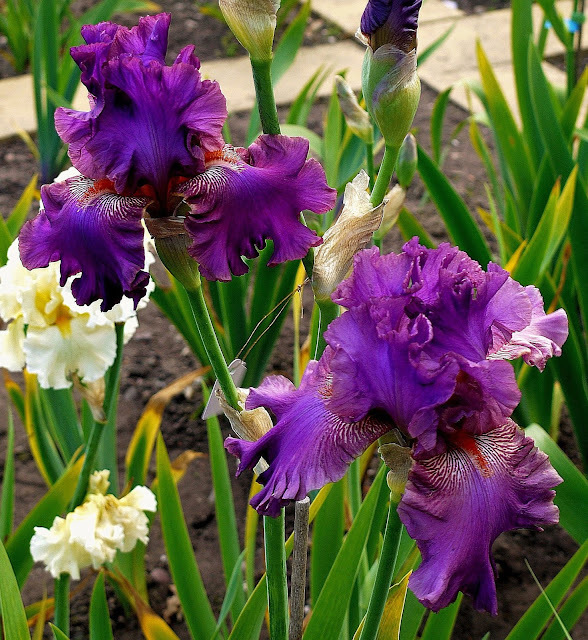 Kat lives in the English Midlands, in the county of Staffordshire and is proud of the fact that she is the first Polish female iris hybridizer since before the second world war. 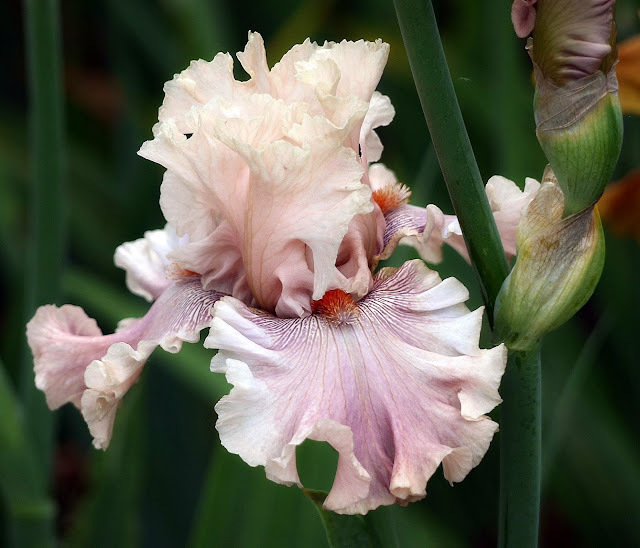 Kat says that hybridizing is her true love and passion. 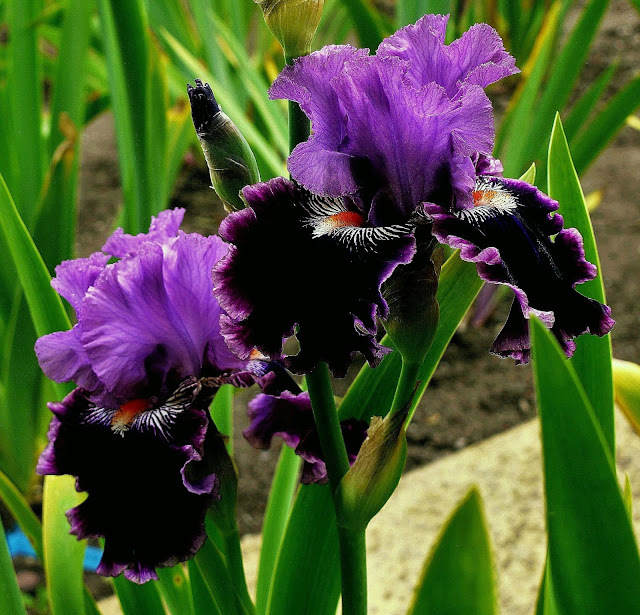 Her iris garden has approximately 600 varieties of tall bearded irises (TB) and more than 100 dwarf bearded (DB) varieties. 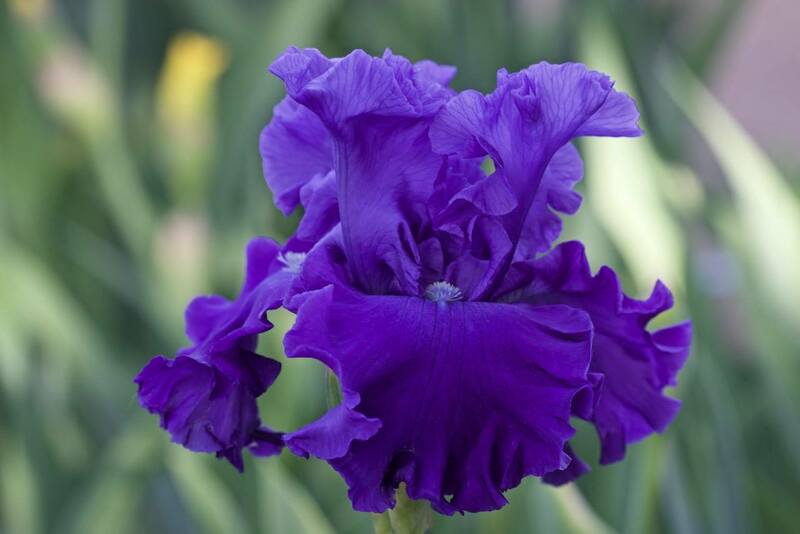 She says she was hooked when she received her first iris from a neighbor. It wasn't long before she "realized how many varieties there were" and her "interest in botany took hold." She says, "After my first stuttering attempt, I became completely focused on creating my own varieties." Her first crossings were in 2012. However, she says that this "first attempt was not too successful," as most of her "seed pods were damaged in a thunderstorm." 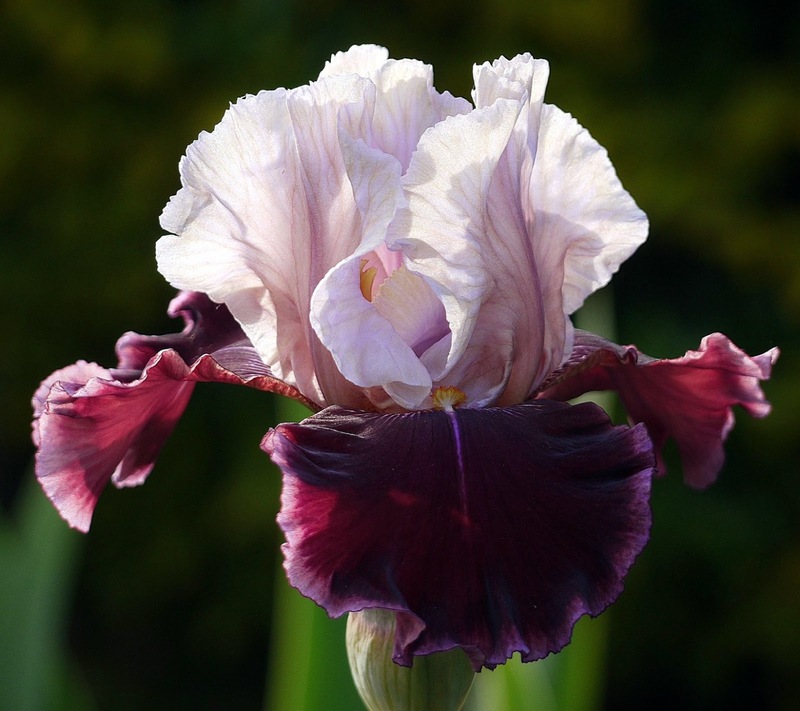 It is not uncommon for her to spend months trying to come to a decision for a suitable name for her cultivars. However, being inspired by both history and her travels, "sometimes a name will spring to mind" as soon as she sees a variety bloom for the first time. In the last two years she has registered 11 cultivars. The number of seedlings she has hybridized in the past two years, however, has been a few thousand, a number of which she is still assessing. 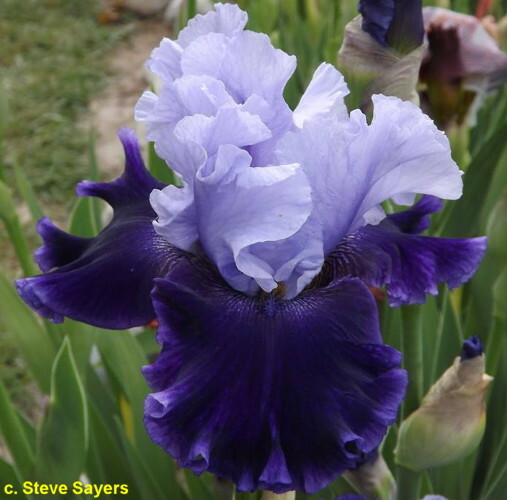 Even though she has "become more interested in crossing dwarf bearded varieties as each year passes, she mainly focuses on hybridizing tall bearded irises. As yet, Kat has not exported any cultivars beyond the European Union, and currently, there are no growers in the USA, but she would "very much like that to happen," as would I! 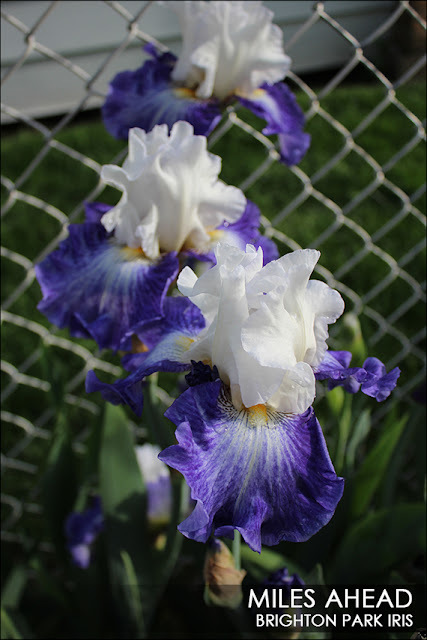 As a gifted photographer, Kat's irises provide her with wonderful subject material. The British weather is very temperamental, so the best time to take photos is dictated by that rather than the time of day. She has an old Lumix camera, which, as she states, "serves its purpose." She commissioned a talented young director to produce the beautiful iris garden video that begins this article. She writes: "A number of hybridizers concentrate on specific characteristics of irises and this heavily influences the fruits of their work. I recognize that different regions have different tastes and I try and embrace this. www.Irisland.eu where more information about her and her hybridizing program can be found. 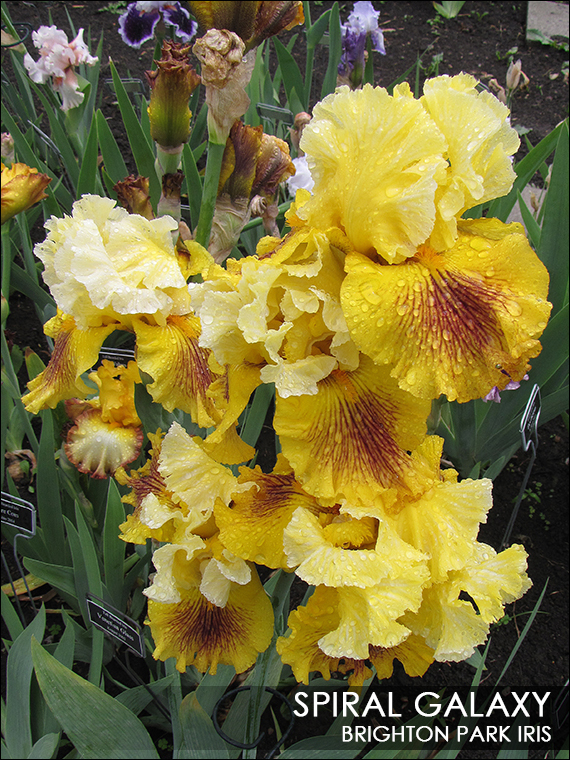 Thank you, Kat, for sharing your spectacular iris garden and giving us the opportunity of getting to know you better. Your passion for hybridizing has helped to make the world more beautiful. If you have any questions or comments for Kat, I'm sure she'd love to hear from you! Leave your comments or questions here and she'll respond.